This choir contains 24 singers. It works at the community center of Kozloduy - town in Northen Bulgaria situated on the bank of Danube river. 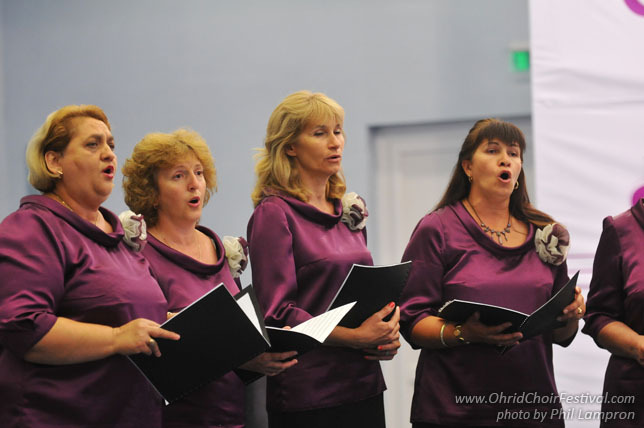 The group regularly performs at various events in the country and abroad. 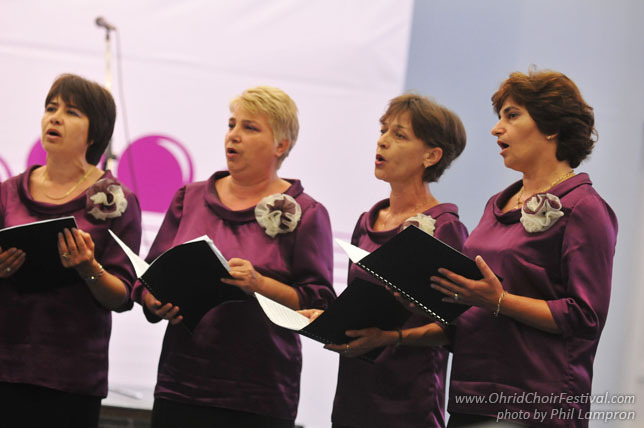 In 2004 the vocal group participated in festival organized by the Bulgarian eparchy in Sofia. 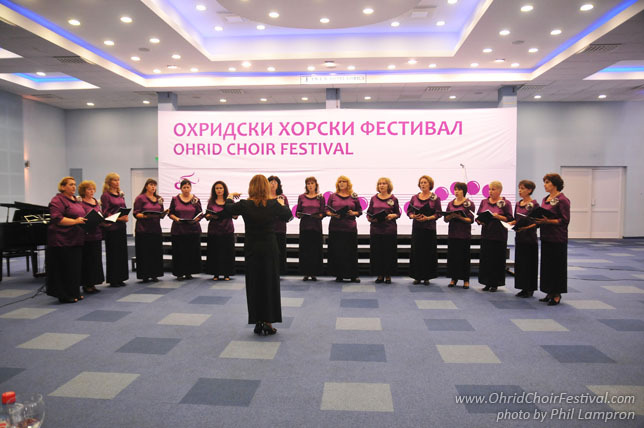 In June of the same year, the vocal group “Viva” participated in the Second choir festival and obtained very high marks by the prominent jurors. 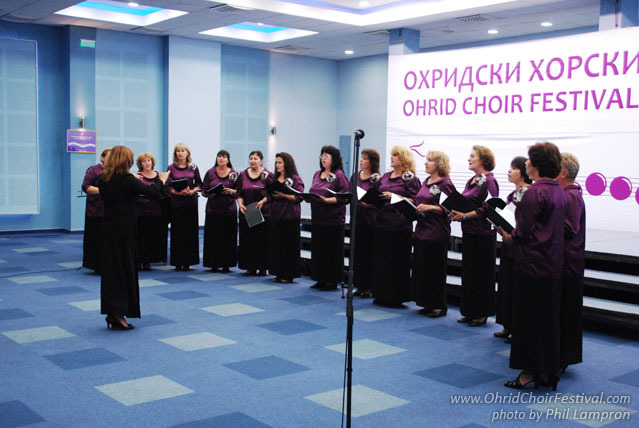 In November 2005, they were invited by maestro Todor Kabakchiev—conductor of Livadya’s choir (Greece) and they gave two concerts in the cities of Livadya and Orhomeno. 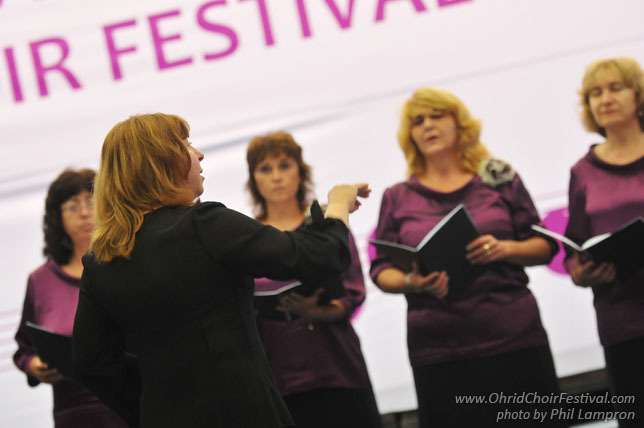 In 2008, the vocal group took part in the XI fair of choirs from the towns situated on the Danube river, which was called “Danube – river of friendship and song” in Silistra. 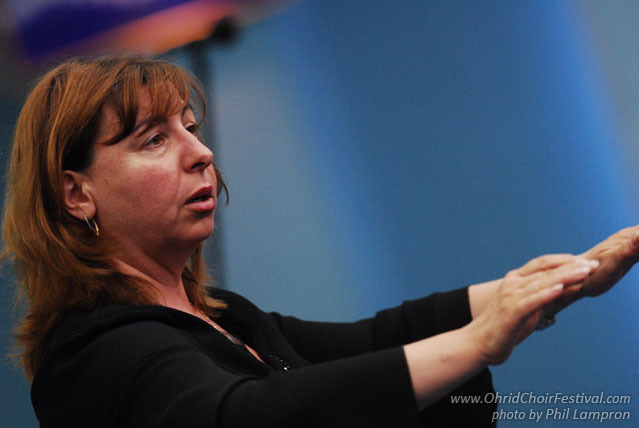 Since October 2008, the conductor of “Viva” has been Mrs. Boyanka Anchova. 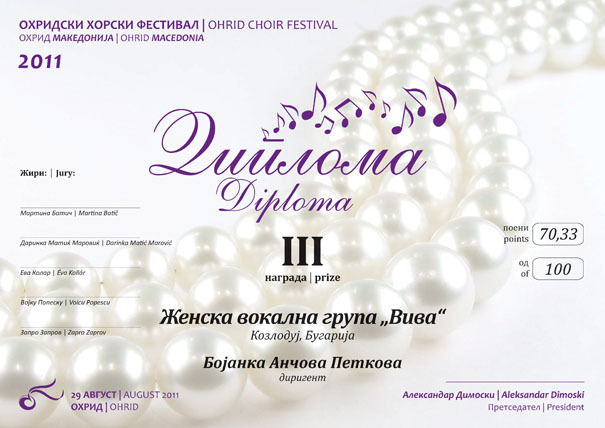 She is a graduate of the Academy of music and dance in Plovdiv and is trained by prof. Deliradeva.